This barrel-aged strong beer is a complex blend of sour reds, aged in port, red wine and chardonnay barrels for up to eleven months. Fruity aromas of sweet plums and red currants are complemented by notes of raisins, prunes, caramel and spicy oak tannins, along with a soft Brett funk and lingering tart, dry finish. 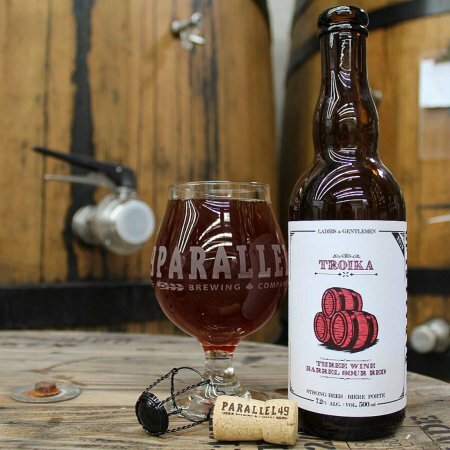 Troika is available now in 500 ml bottles at Parallel 49, and soon at select private liquor stores in British Columbia.